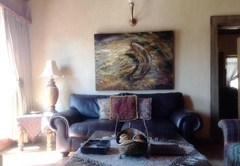 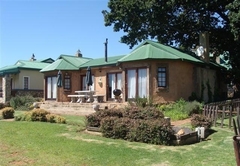 Fox and Squirrel is a property providing self catering in Dullstroom for up to 8 guests visiting the Highlands Meander region. 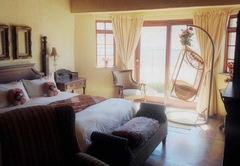 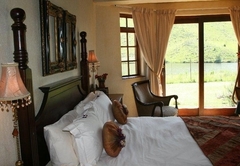 Fox & Squirrel is a beautiful self-catering cottage overlooking the lake and Steenkampsberg Nature Reserve. 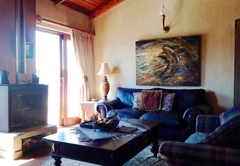 This popular cottage promises to change your state of mind. 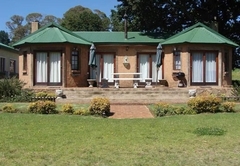 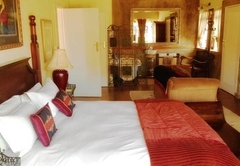 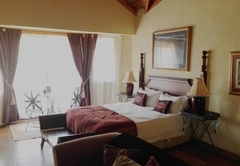 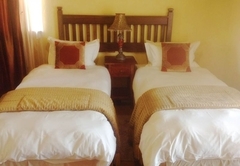 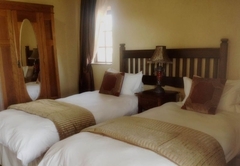 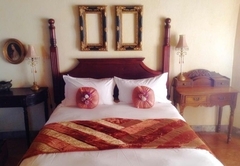 This is the most romantic accommodation in Dullstroom. 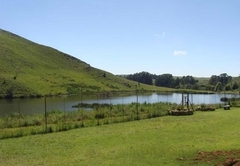 Dullstroom's village and farm environment offers the ideal opportunity for families to bond in beautiful natural surroundings - be it at trout waters, on horseback, bird watching or engaging in the vast variety of nature related activities. 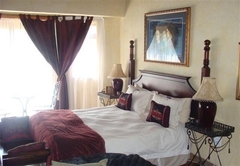 There are two double bedrooms that feature large double beds, bay window with open fireplaces and sitting areas. 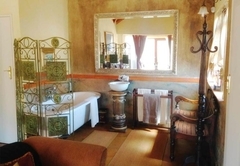 Victorian style ball and claw bath facing the fireplace (private toilets en-suite). 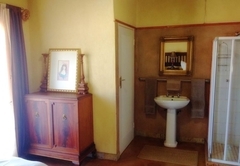 Hair dryers are also available in the main bedrooms. 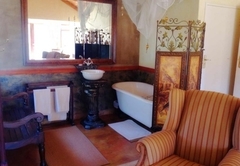 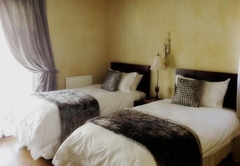 There are two twin-bedded rooms that each feature their own shower, washbasin and toilet en-suite. 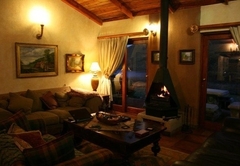 The open-plan lounge with fireplace and dining area leads off the kitchen creating a warm cosy atmosphere for entertaining. 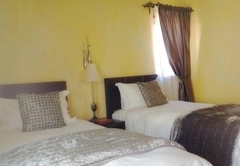 DStv and CD players are also available. 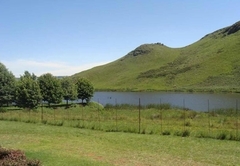 A comfortable patio overlooks the Dullstroom dam and Suikerboskoppie. 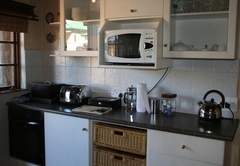 A Weber braai is available on the patio and the cottage offers a well equipped kitchen with modern appliances (including oven, microwave, fridge, freezer and 4-plate stove). 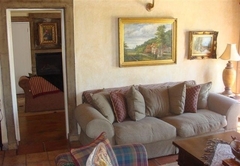 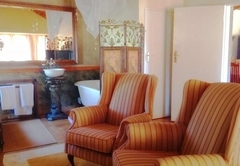 This beautifully decorated cottage accommodates up to 8 people. 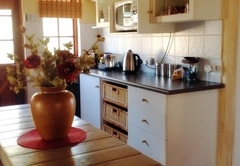 The well-equipped, modern, open-plan kitchen leads off to a lounge and dine area with a warm, cosy atmosphere and fireplace. 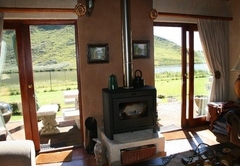 The patio overlooks the dam and Suikerboskoppie. 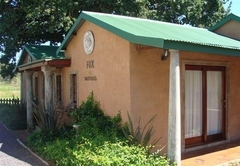 Response timeFox and Squirrel typically responds to requests in 5-10 minutes.